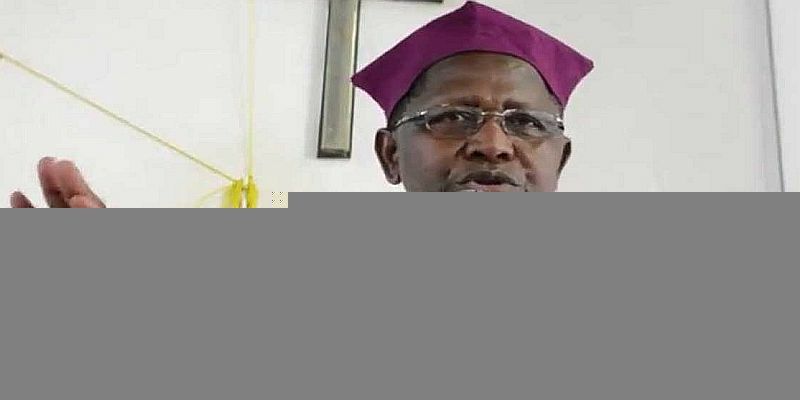 In the wake of Arua by-election chaos and pain, Archbishop Ntagali, head of Uganda’s Anglican Church was quoted in the press telling clerics to ‘go slow on politics.’ From Ugandan speak, it sounds like a father telling his adolescent son; don’t look at those girls. In-effect, the dad is saying don’t go there! Therefore, the ‘go slow’ ‘directive’ is a bold censorship of clergy from commenting on politics. Because of tumultuous history of interaction between politics and religion in Uganda, falling in trap of long held and mostly condescending narrative parroted by politicians in pursuit of expediency is easy. Every corner you will hear mostly in-power politicians saying; ‘politics and religion don’t mix’, ‘clerics should not use the pulpit to talk politics’ etc. Yet, these mostly in-power politicians, through action, overtly schmooze religious leaders with gifts and use pews and pulpit to channel political messaging and gain political advantage. Vendors of the ‘don’t mix politics and religion’ narrative, knowingly frame politics as earthly, divisive and a bad thing that men and women of God should not be party to. This is a well-oiled and calculated blackmail. They for example, knowingly portray politics and partisanship as one thing. Unfortunately, Archbishop Ntagali is lending this unfortunate line credibility! Archbishop Ntagali is a principal in the Inter-Religious Council of Uganda, a platform that is central to organizing and leading the national dialogue process. The core object of dialogue is to settle Uganda’s unanswered political question since independence - peaceful transition of power from one leader to another. The national dialogue process seeks to embrace and convene all Ugandans in a conversation about the nations’ values and future. The dialogue is therefore essentially political – and not partisan. Pointed attempt at silencing voices of clerics will reinforce narratives that have over the years undermined the spirit of national dialogue and envisaged consequence of total peace and prosperity in Uganda. I agree with those who argue that pulpit should not be used to drive partisan political interests – because the flock is a collective with non-homogeneous political persuasions. It would therefore be wrong for clerics to be partisan. However, it right for clerics to be political. Why? Because politics arrange the earth and if clerics have to be useful on earth, they have to take on and moderate political issues. We often talk of world-order, and this is the earthly political arrangement of who makes decisions that generate, hold and reproduce power; engender world peace and a functioning dominion over earthly life (from humans to trees, reptiles, insects etc.). When politics is mishandled, we see deadly wars that decimate peace and decisions that accentuate destruction of life and Mother Nature – terrestrial, extra-terrestrial, nomos and cosmos. The working language through which these political issues are arranged on earth is social justice, economic justice, environmental justice etc. What then is the role of clerics on earth if they can’t moderate politics? What is the bible for if it cannot guide and deepen social justice, justice this and justice that? To say that clerics should not talk about politics is the same as asking the Anglican church why it is involved in building and running schools? Building and running health facilities? – etc. Quite often, politicians are elected on basis of who has superior health or education plan. To further put the foregoing in context, we should look at the social teachings of the Catholic Church and how they addressed the ideological and philosophical underpinnings of the capitalist world and offered guidance to those facing the Industrial Revolution, the rise of market capitalism, and social unrest throughout Europe. Pope Leo XIII’s encyclical letter Rerum novarum (On the Condition of Labor), 1891 -considered the first modern social teaching document—heralded themes that have remained constant over the past 140 years: the rights and duties of workers, the right of workers to form unions, the right to private property (against emerging fascism or communism), and a critique of unbridled or unregulated capitalism (a form of capitalism today advocated in libertarian economic philosophy). The tradition of papal teaching continued to unfold in twelve major encyclicals in the next century, with the most recent being Caritas in veritate (Charity in Truth), the acclaimed letter of Pope Benedict XVI issued in 2009. When the pastoral letter "Economic Justice for All" was published by the U.S. bishops in November 1986, its release was both the culmination of years of work and the beginning of a sometimes-heated public political debate. The principles of the pastoral letter were clear; Every economic decision and institution must be judged in light of whether it protects or undermines the dignity of the human person; Human dignity can be realized and protected only in community; All people have a right to participate in the economic life of society; All members of society have a special obligation to the poor and vulnerable; Human rights are the minimum conditions for life in community; and Society as a whole, acting through public and private institutions, has the moral responsibility to enhance human dignity and protect human rights. Again, what the foregoing demonstrates is that, for church to be relevant to its flock it must address justice and rights issues faced by its followers. Christians expect Archbishop Ntagali to issue pastoral letters guiding on current issues that Ugandans care about like; right to assemble, right to conduct processions, right to free speech, rights and responsibilities of journalists, right to education, economic justice, inclusive growth, right to decent health, environmental justice etc. By doing the aforementioned, Archbishop Ntagali will not be breaking from Uganda’s rich tradition. Luminaries like Archbishop Janani Luwum and Bishop Kivengere eloquently guided their flock towards political freedom and justice. Faced with clear and present life taking risks, they provided and natured the soul of this nation. In a seminal book, The Sacred Canopy (1967) Peter Berger puts this poignantly; he argues, “Religion implies the farthest reach of man's self-externalization, of his infusion of reality with his own meanings. Religion implies that human order is projected into the totality of being. Put differently, religion is the audacious attempt to conceive of the entire universe as being humanly significant” - I agree. Coffee farmer, Nyeibingo Village – Rukungiri District.